Saudi Arabia and several other Arab countries have announced that the Muslim fasting month of Ramadan would start on Thursday. Saudi Arabia, the birthplace of Islam, announced on Wednesday that it would be the final day of the lunar month of Sha’aban. Similar official announcements were made by religious authorities in Egypt, Jordan, the United Arab Emirates, Kuwait, Qatar, Yemen and Palestine. Report says the beginning and end of Ramadan depends on the sighting of the new moon. 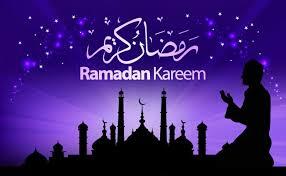 “During Ramadan, devout Muslims abstain from eating, drinking and smoking from dawn to sunset. “Ramadan this year coincides with the summer heat in the Middle East where the fast could reach 15 hours a day. “Fasting is one of Islam’s five pillars, alongside declaration of faith, prayer five times a day, alms-giving, and the pilgrimage to Mecca in Saudi Arabia,’’ it said.